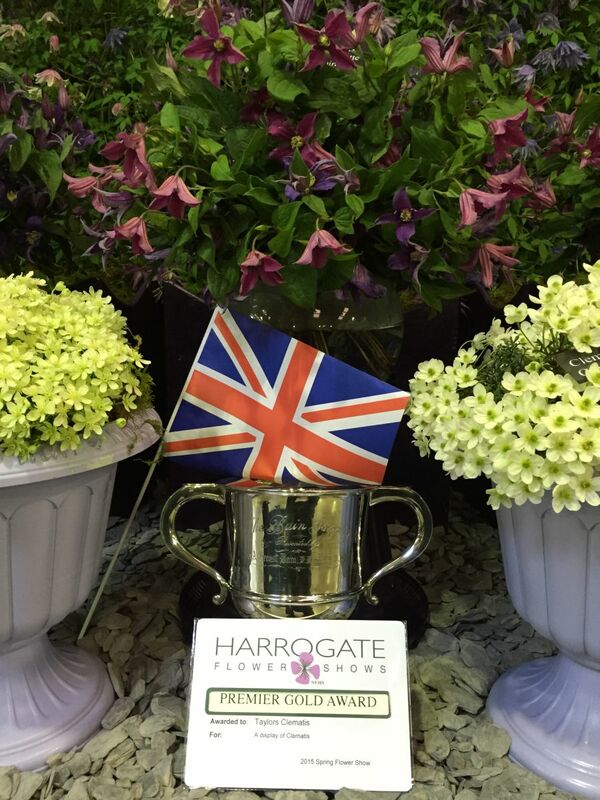 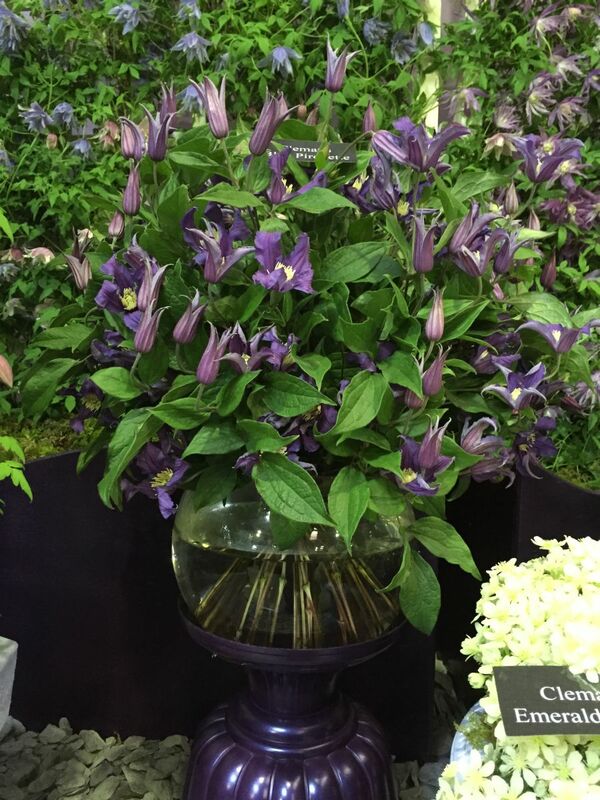 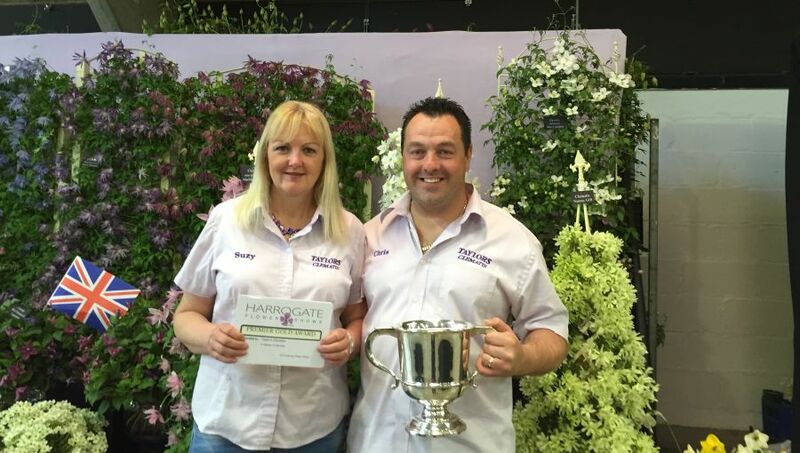 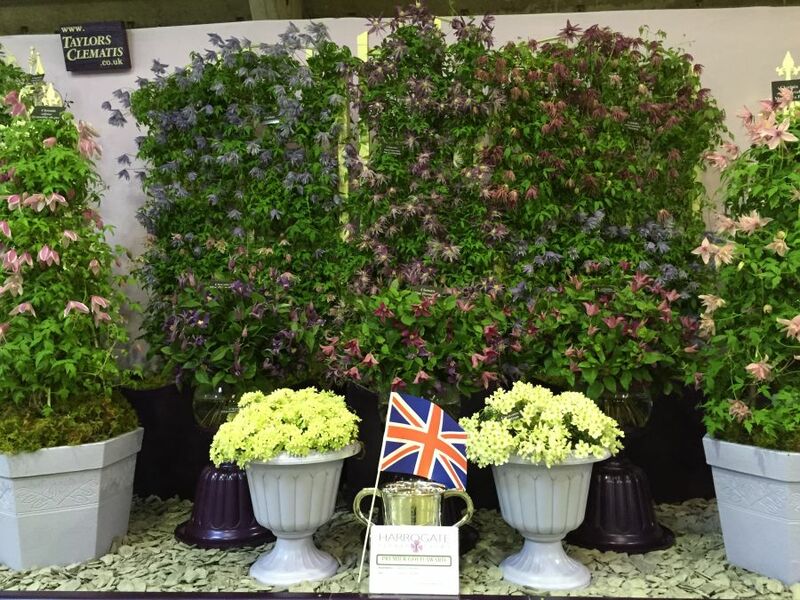 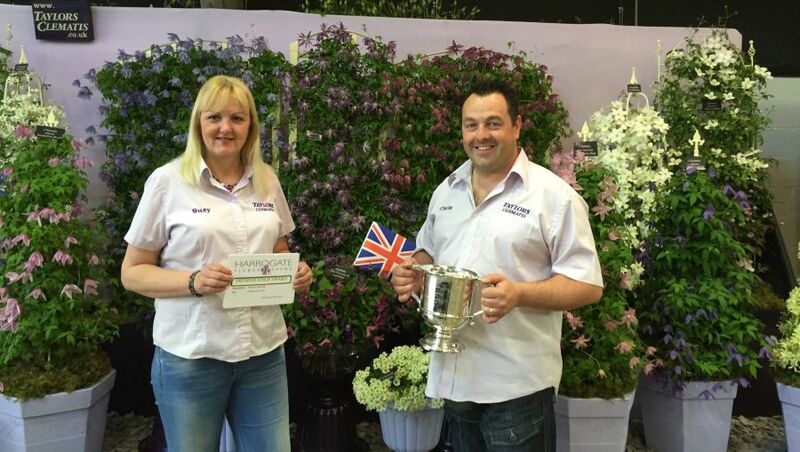 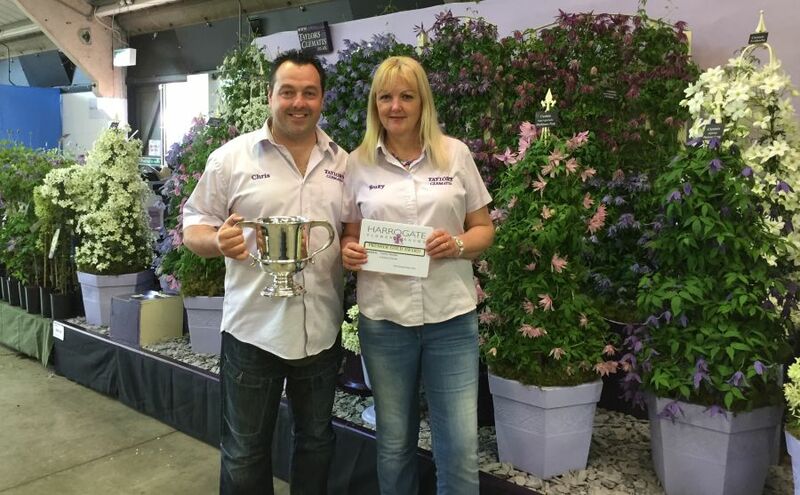 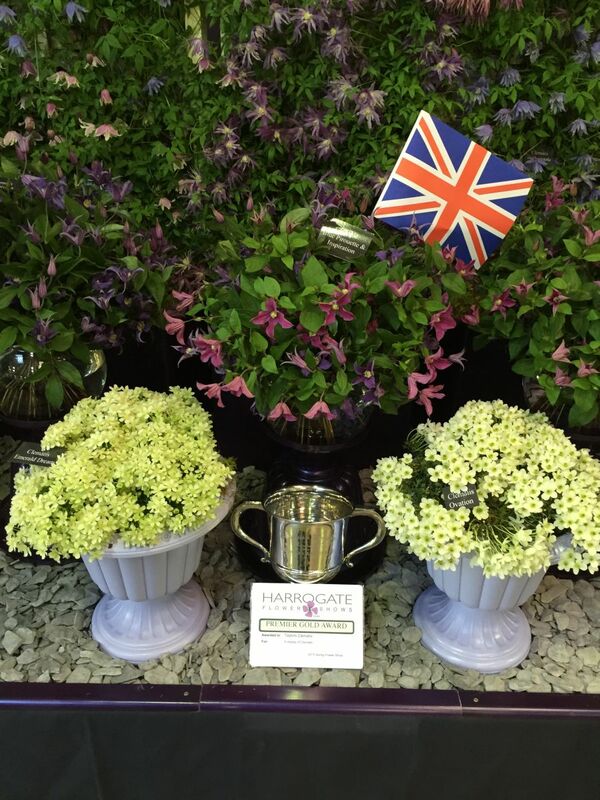 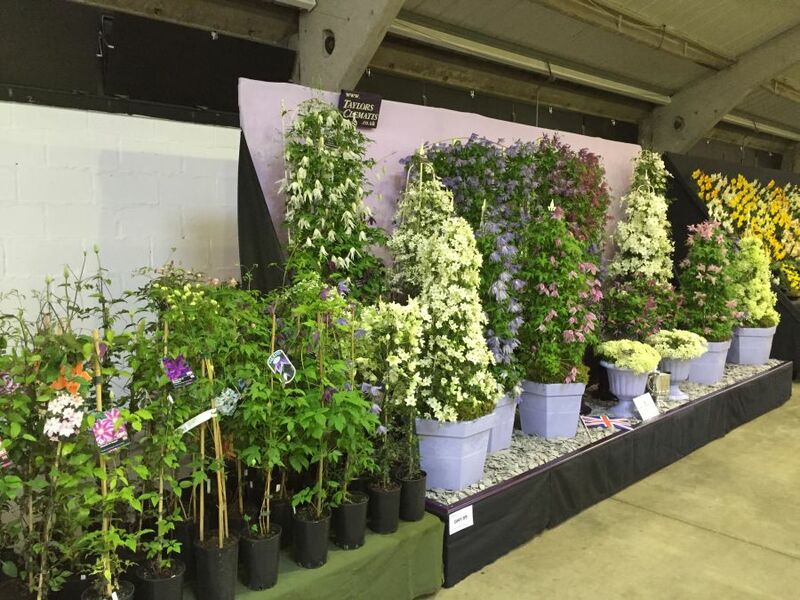 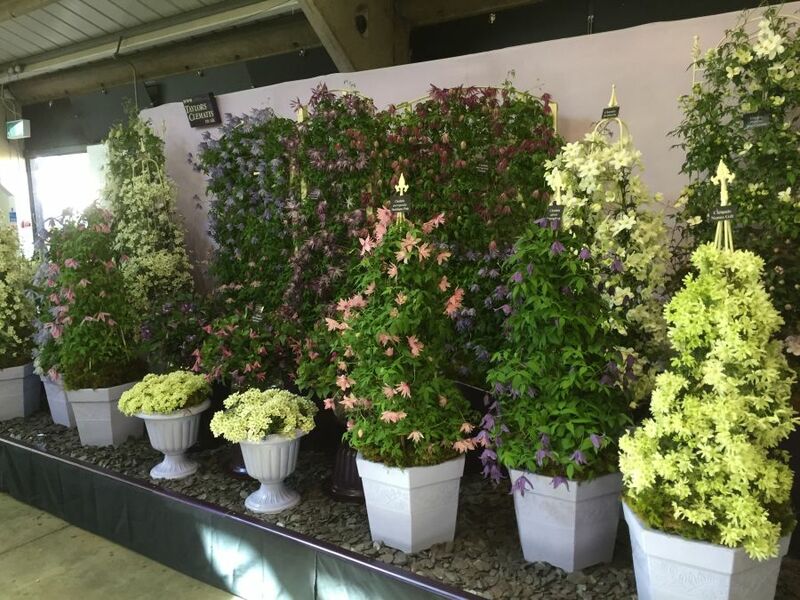 Harrogate flowershow pics, Here we have a few pictures of our display at Harrogate flowershow 23rd-26th April. 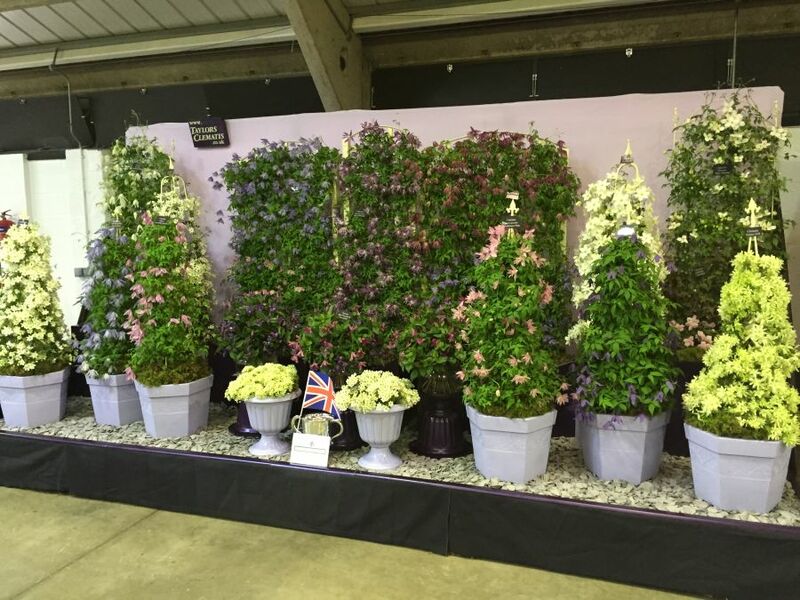 If you look closely at the front of the stand (near the 2 miniature evergreen clematis in the urns) you will see we have used clematis as a cut flower. 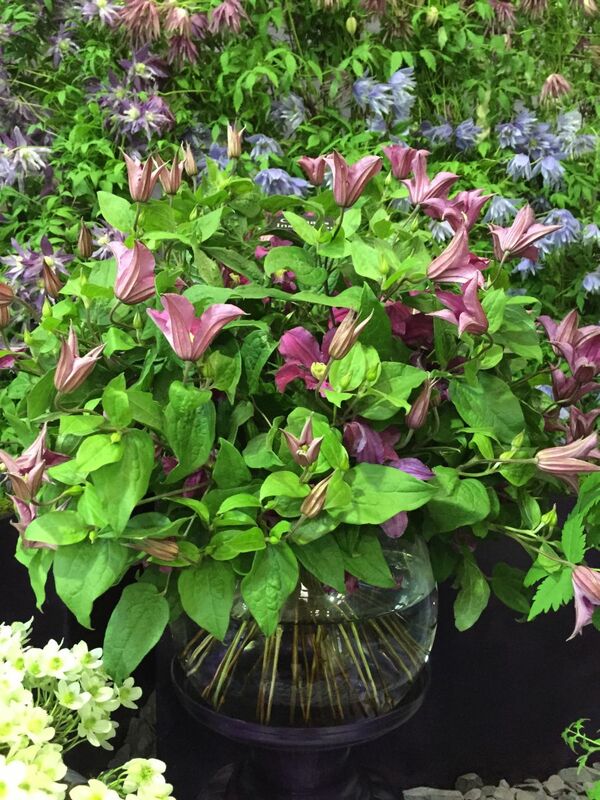 Suzy handtied them and put them in the fishbowls.